How does the testo Saveris 2 aid dnata Catering's success? How does the testo Saveris 2 aid dnata Catering's success? How does the testo Saveris 2 aid dnata Catering's success? Starting out as a family-owned operation in 1982, dnata catering is now one of the largest in-flight catering companies in Australia. From serving one customer to becoming the main catering supplier for Emirates and over 35 other airlines nationwide, dnata catering’s success comes from a commitment to sourcing fresh ingredients and adhering to high food safety standards. Craig Cole, business manager for the Brisbane unit, says this commitment is core to dnata catering‘s success. Operating ten full-scale commercial kitchens means dnata catering must ensure impeccable safety standards at each stage of food preparation. Operating nearly a dozen full-scale commercial kitchens means dnata must ensure impeccable safety standards at each stage of food preparation. The reputation dnata catering has built in the airline industry stems from rigorous processes that reduce the risk of compromised food quality. They’re ISO 22000:2005 certified, meaning they regularly demonstrate their ability to meet customer needs while maintaining statutory safety requirements. Every Australian unit also organises regular in-house training, ensuring all staff are involved in maintaining food safety standards. Refrigeration is the other challenge to preparing food in suitable conditions. The Brisbane unit has 13 chillers and four freezers, storing hundreds of thousands of dollars’ worth of stock. Historically, dnata catering has always operated with a labour intensive process towards monitoring temperature in these facilities. ”Prior to working with Testo, we had to manually test the temperature in each storage space every eight hours. This wasn’t enough and it certainly led to unnecessary waste,” Craig says. Testo’s temperature monitoring device logs air temperature and core sample temperature separately, ensuring quality managers are certain that food is stored in adequate conditions. 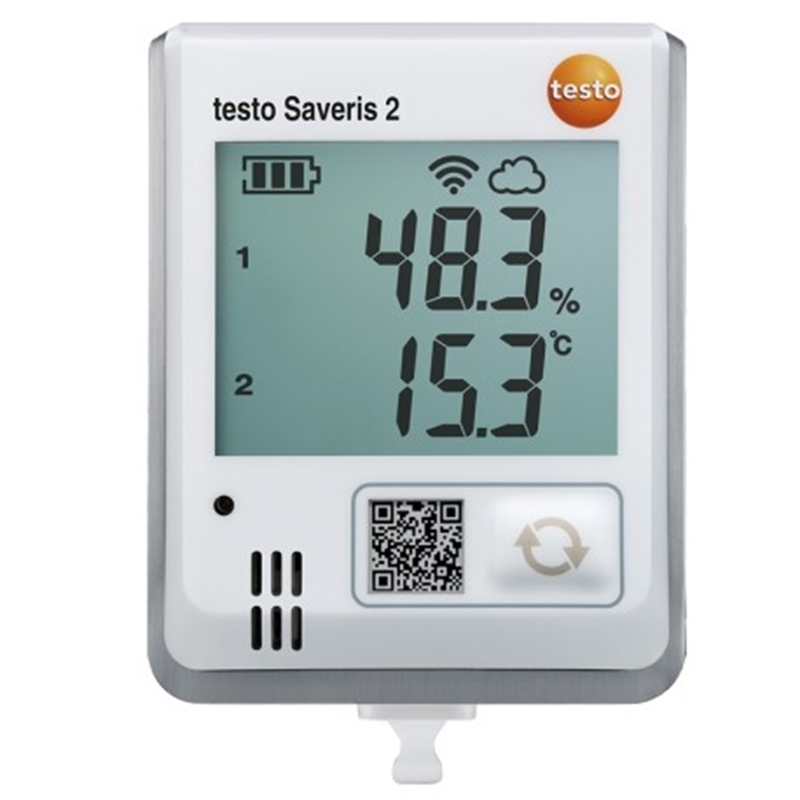 The catering unit now uses the testo Saveris 2 to monitor air, and samples temperatures in every storage room. This gives the dnata catering team greater peace of mind that there is a foolproof system in place to help maintain their high standards for food safety. ”Testo’s equipment has enabled us to improve. The Saveris 2 device tests our cold facilities every 15 minutes, with temperature data sent to key team members. We’re aware that our staff need regular access to the fridges and freezers, so we’ve set the testo Saveris 2 to log different temperatures for the air [10 degrees Celsius] in the cold room and individual samples [5 degrees Celsius]. If temperatures fall outside these parameters, we receive an alert. We also receive an alter confirming that temperatures have returned to normal” says Craig. For more information about how Testo can help your catering facility, contact the team today. Previous PostWhat is the ideal climate measuring instrument for Griffith University research?